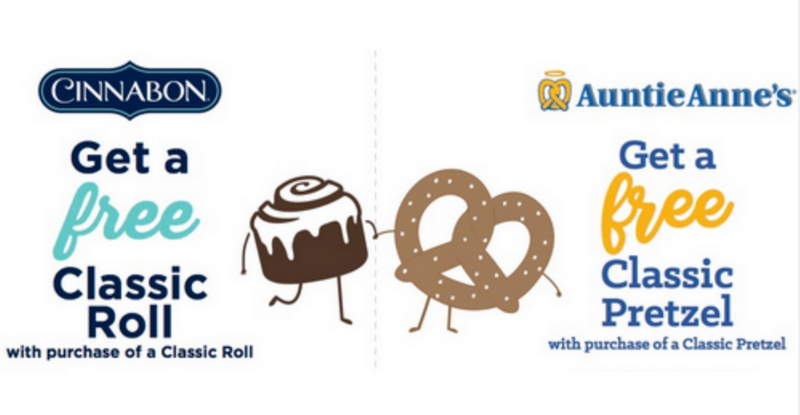 Head over and print a Buy One Classic Pretzel Get One Free Coupon valid at Auntie Anne’s or a coupon for a BOGO Cinnabon Classic Roll valid at Cinnabon locations. Print the coupons or pull them up on your mobile device to get this deal. It’s a perfect way to celebrate National Best Friends Day.